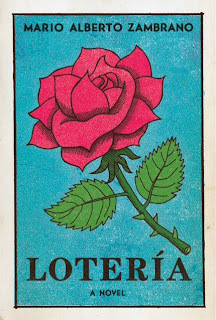 The Latina Book Club is pleased to have selected LOTERIA as its January Book of the Month. We tell our own stories. We have our own tablas. might be the one thing I need in order to win. And why do I always need the one thing that's not there? Authors are always trying to be original, trying to find new ways to tell a story. Mario Alberto Zambrano has succeeded. His debut novel, LOTERIA, is full of lush writing, vivid descriptions and nail-biting suspense. Zambrano makes clever use of loteria cards to propel his story, and introduce us to our heroine, 11 year old Luz Maria, her family, friends and neighbors. Loteria cards are like bingo but with pictures, and instead of calling numbers one calls dichos --riddles--and only if you know the answer to the riddle do you know the identity of the picture called. In LOTERIA, the story progresses with the turn of each card. Readers will be enchanted by the charming pictures and clever riddles, but stunned as true events unfold. I found myself immerse in the story. Turning pages faster and faster, fascinated by the cards, intrigued by the family dynamics, both eager and scared to know what really happened that fateful night. Zambrano captured my attention whole heartedly. He is truly an original, exciting new voice in Latino literature and definitely an author to watch. BOOK SUMMARY: Something really bad happened at the Castillo home leaving a father in jail, a daughter in ICU and another a ward of the state. 11 year old Luz Maria is traumatized and not talking. Her counselor gives her a journal to jot down her thoughts. Her aunt Techa urges her to write anything so it could help her Papi and maybe the counselors can let her go. She also gives Luz a pack of loteria cards to keep her entertained. Luz spends her days in silence, dealing the cards and making houses with them. And while she won't talk, she does write letters to God in her journal because He too bore witness that tragic night. 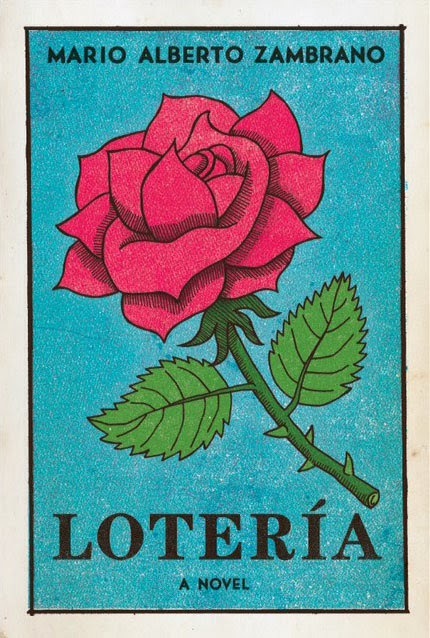 Each turn of a loteria card triggers a memory for Luz. We meet the Castillos, a poor family trying to make it in Magnolia Park. Her father works at the plant, while her mother cleans houses. Luz is very much Daddy's Girl and shares his love of rancheras, while her 14 year old sister Estrella shares their mother's fashion sense. There are good times, lean times, and then come the bad times. ABOUT THE AUTHOR: Mario Alberto Zambrano was a contemporary ballet dancer for 17 years, dancing in the Netherlands, Germany, Israel, Spain and Japan before returning to school to pursue a career in writing. He received a BA from the New School, where he was a Riggio Honors Fellow, and completed his MFA at the Iowa Writers' Workshop as an Iowa Arts Fellow. He is a recipient of the John C. Schupes Fellowship for Excellence in Fiction. LOTERIA is his first novel. To learn more about this new exciting Latino author, visit him at www.marioalbertozambrano.com.